Your backyard swimming pool or neighborhood pool may look refreshing, particularly on a sweltering hot day. But if it’s not properly monitored, the water can harbor bacteria, viruses and parasites that can cause what the Centers for Disease Control (CDC) call recreational water illnesses. Instances of these ailments, which include ear and eye infections and respiratory, intestinal and skin diseases, are dramatically on the rise according to the CDC; reported cases have more than tripled in the past 20 years. Be diligent about hygiene. If you're part of the HOA, consider a sign near the pool to remind residents. Change diapered children well away from the pool and its surrounding deck, and make sure all swimmers take frequent bathroom breaks. Remind swimmers not swallow pool water and to shower with soap each time they enter or leave the pool. Don’t allow pets in the water. Don’t allow anyone who has an infection or illness to enter the pool area. Be Aware. Check the water pH and chlorine levels regularly—or have it monitored regularly by a professional pool service—particularly during times of heavy use. If you're looking for a pool service company in the Atlanta area, check out our list of vetted pool vendors. Clean Pool Water = Happy Residents All Summer! Water should be clear enough that you can see any painted stripes and the bottom of the pool. The sides of the pool should be smooth and not sticky or slippery. A well-chlorinated pool has little odor, while a strong chemical smell indicates a maintenance problem. Make sure the pool pumps and filtration systems are in good repair and operating as they should. Be Informed. The chemicals used to sanitize pool water are themselves toxic if used, stored or applied improperly, so make sure you know how to handle them or have a professional pool service do it for you on a prescribed schedule. 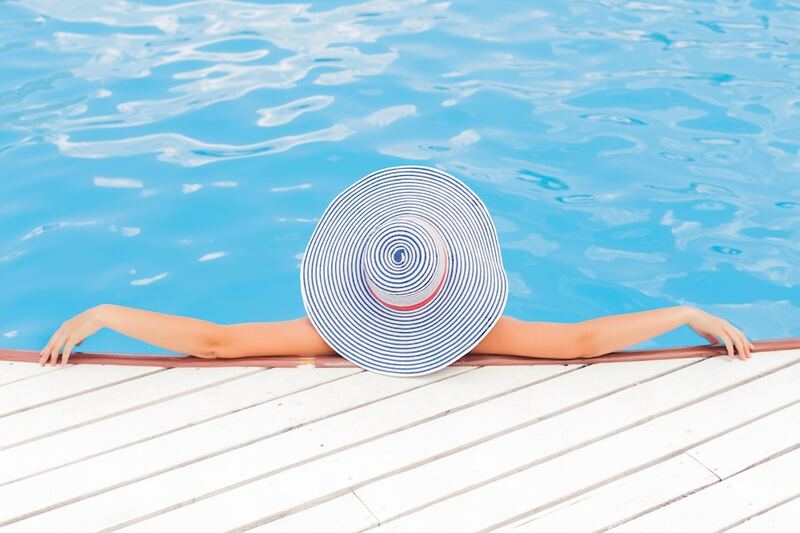 Swimming pools are a great source of recreation, exercise and relaxation, and a little vigilance on your part can help ensure that you and your guests don’t get sick. Visit the CDC website for more information about pool water safety. And have a fun summer!